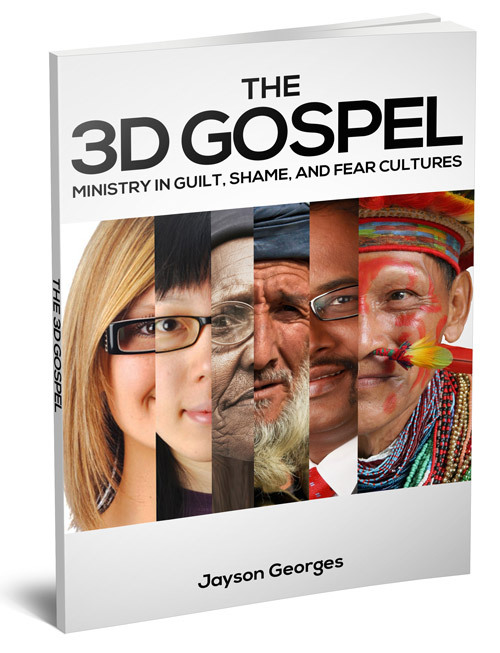 THE 3D GOSPEL: Ministry in Guilt, Shame, and Fear Cultures explains the world's three primary culture types—guilt/innocence, shame/honor, and fear/power. This concise book shows how Christians can fruitfully proclaim the gospel in every culture. JAYSON GEORGES (M.Div., Talbot Seminary) served in Central Asia for nine years doing disciple making, church planting, and microenterprise development. He has published articles in EMQ, Missiology, and Scottish Journal of Theology. Jayson now works as Missiologist-in-Residence at an evangelical mission organization, and lives near Atlanta, GA with his family. He is the founding editor of www.HonorShame.com. Click HERE to buy a PDF version for $2.99 (received by email in 24 hours).